In a few hours, I’ll be flying back home to Manila and I can not be more excited about this. Don’t get me wrong, traveling to Europe is one of my favorite luxuries in life but with my unread email count now at 1,408 and more, add to that the nonstop text messages I’ve been getting about work, there’s a lot of things waiting for me back at home. If only I can put everything on pause just so I can stay here a bit longer, I would. But life just doesn’t work that way. Why God? WHYYYYYYY??! As I write this post, it’s already close to 4am here in Barcelona. I’m extremely tired since I just got back from Florence so forgive me if I just let these photos speak for themselves. My brain has turn to mush and I’m pretty sure nothing good will come out of it even if I try. Probably only jibber jabber. I can manage to tell you, however, that these photos were taken many many months ago when I had that shoot at Fernbrook. I didn’t want the nice scenery to go to waste so I took photos of my outfit of the day as well. I’m sure a lot of you will ask me where I took these photos so I thought I’d share that little information with you to save some trouble. Off to bed I go! 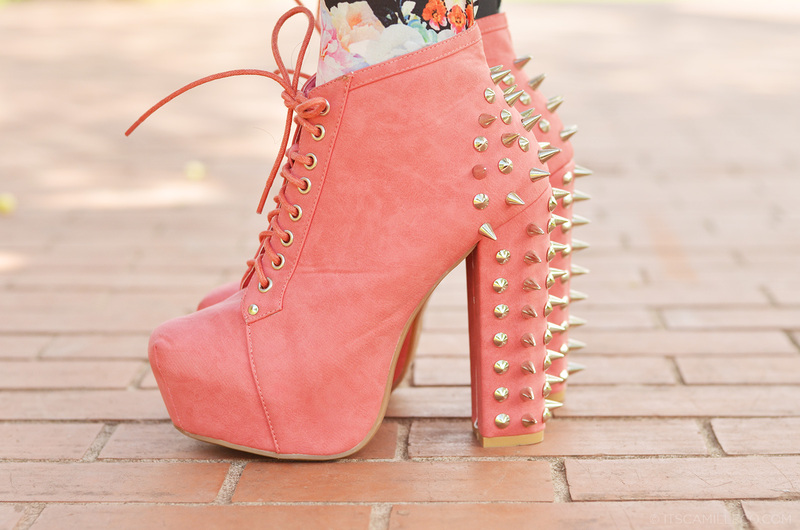 omg i love your shoes i want !! What Kind of shoes is that? Next time! :) I shall do it! Insert emoji with smiling eyes and rosy cheeks here! 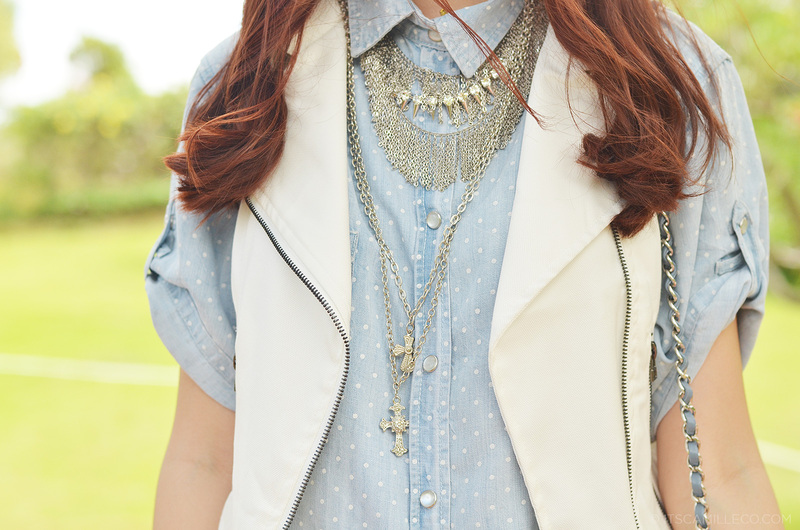 Love this outfit, especially the pairing of the blouse and vest. Would never have thought of that, I’ll wear this with a skirt! Wow! WOW! I like your shoes. :) Edgy. Love the look, ms. Camille! :) i have a question, just need advice for my humble small blog. Teehee. You’re blog reached popularity in a span of a year right? How were you able to do it? Did you advertise a lot or do people just really come to your blog? Hahaha! Hope to hear from you soon, ms. Camille! I don’t know how haha! I just linked it to my Lookbook and Chictopia :) That was it! I think you just have to maintain your blog properly then everything else will just follow. Keep people interested! everything is so nice to embrace with all these pjotos. The place is amazing for taking pictures! And I must confess I’m not a huge fan of Lita Boots, but you knew how to make it look romantic and sweet! Something that’s the real opposite of these kind of boots! Once again you surprise me! lovely top and paired with super nice leggings it turns out pretty well! Not so silent anymore! Woot! those leggings look great on you — lovely post! 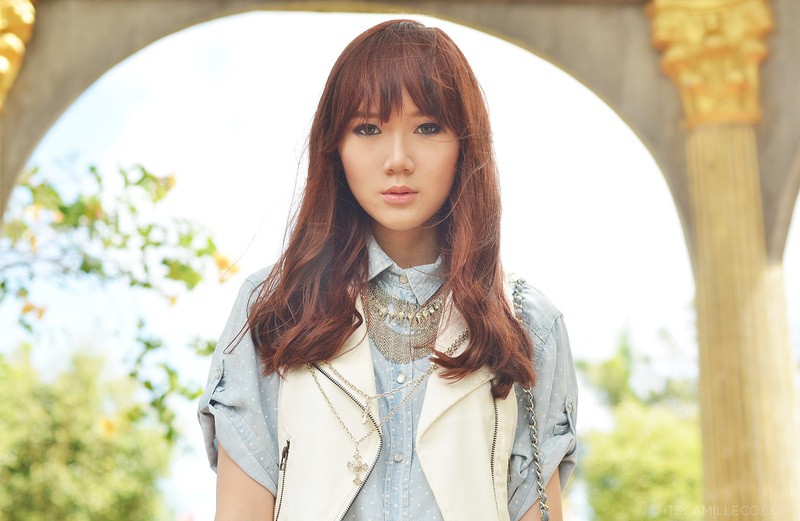 <3 <3 <3 your style is really awesome!! keep on inspiring us! Yes I did! With much difficulty though. Mom was very much challenged by my Olympus. A lot of FAIL moments haha! But I hope I find a few blog-worthy photos. Fingers crossed! Unfortunately, I don’t have my leggings with me now.I think from Liberte?